The whole storey behind Mo’s New York Grill is as interesting as the food is enjoyable. It all started when Mariano Riviera, the New York Yankee pitcher almost never made it to his first day. Lucky for him, he got a lift from Gary Fosina’s father, it started a long friendship that led to the opening of Mo’s New York Grill by Mariano Riviera and Chef Gary Fosina. Riviera is often seen at Mo’s steakhouse where he enjoys his favourite special, which is the marinated skirt steak served with fried plantains, mashed yucca and tomato cilantro salsa. Mo’s New York Grill was extremely popular from the start and given the crowd every night at the bar it would do great as a tavern or neighbourhood pub. Yet, everyone loves it for its fine dining experience. Although the ambience and décor are great, the steakhouse offers an Italian feel and what really stands out is the huge portrait of Mo. The service is unfailing friendly according to everyone who has had the pleasure to enjoy a meal and a few drinks at the extremely busy steakhouse. From the busboy to the waiters are out to impress every visitor, and the manager is never far away, constantly checking to see that everyone is having the best time. If there was ever a place where the service is flawless, it is Mo’s New York Grill. While most of the fuss is about the pitcher himself, the steaks are juicy, full of flavour and really good according to food critic Anton Pacheco. The T-bone of 22-ouches was cooked to perfection as were the Panamanian skirt steak and double lamb chops, he wrote in his blog. 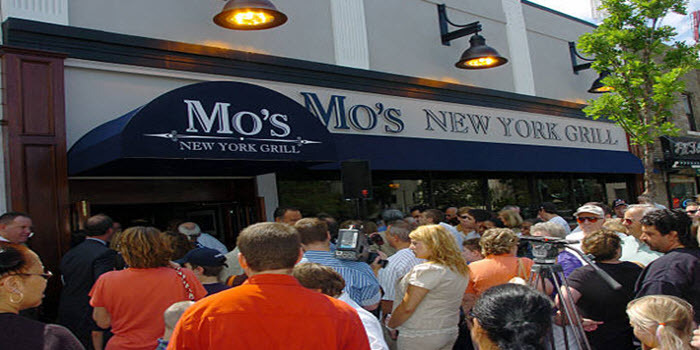 Mo’s Grill Owned by Yankee Reliever Mariano Closes to Re-Open in May. In 2008 it was reported that Mo’s Grill closed and would only re-open in May, the reason was never clear, and most diners were happy to accept that it was for renovations. Yet, instead of announcing a grand re-opening at the beginning or end of May, Mo’s Grill remains closed. Gary Fosina told Sound that some changes in the structure of the owners were made, some of the new ideas positioned the restaurant away from its identity as a fine-diner, and there were talks of converting it into a sports bar, although Rivera rejected it. The only movement that did take place was the building permit from the City of New Rochelle that is displayed in the window. 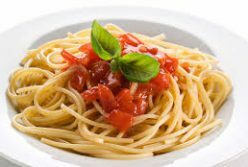 Otherwise, the shades are drawn, and for those hoping to smell the great food again or meet Mo in person, the wait might be long.